Mind The Gap: June 3rd Update!!! Xavier Cancel !! June 3rd Update!!! Xavier Cancel !! XAVIER have had to cancel due to their bass player being involved in a car accident. Mind The Gap wish him a speedy recovery. Revenge Of The Cybermen are stepping in to replace Xavier, we are sure they will not dissapoint. 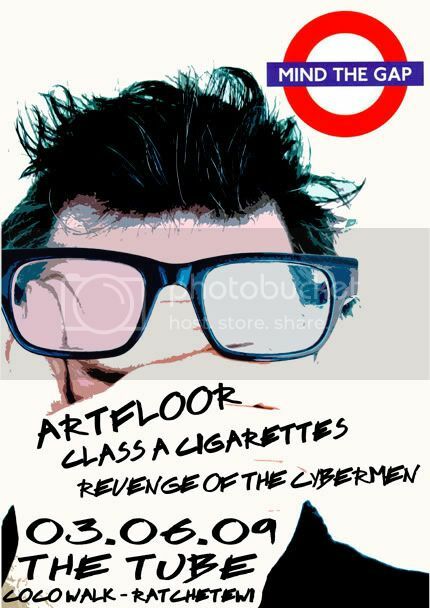 Don't forget Art Floor and Class A Cigarettes and we still have a kicking line up. The bands start at about 10pm, see you later!